Never let it be said that Toon Lunch Club isn’t up for a challenge. Now as a lover of Mexican food, I can comfortably knock back a fair few fajitas per sitting. Keen to get my picture on the ‘Wall of Fame’ and win a legendary Zaps t-shirt along with free food vouchers, I signed myself up. The Mr was too chicken/the world’s slowest eater, but luckily my friend T agreed to come along for moral support. Due to the overwhelming popularity of a little TV show called Man v Food it seems like everywhere is doing eating challenges. If you google competitive eating, several YouTube clips come up. 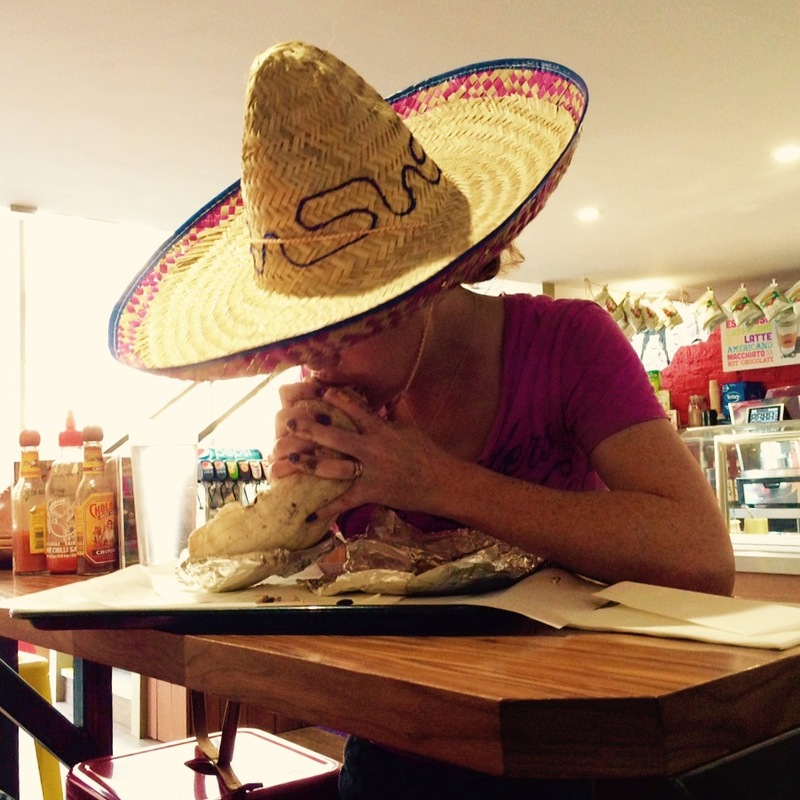 One is of a beautiful Kiwi model downing a 1kg burrito in 1.44 mins! You can also find tips from pros such as “eat a cup of uncooked rice and drink hot water, as close to boiling as you can manage,” which will apparently stretch your stomach. Another pro advocates drinking a gallon of water in one sitting (8 pints) to prepare your body for the volume of food you’re about to consume. Eating loads of cabbage, not skipping breakfast and basically living on nothing but a LOT of veg in the days leading up to the competition are all mentioned. Adam Richman, he of Man v Food fame, warns of ‘flavour fatigue,’ which is apparently the biggest obstacle in an otherwise straightforward race. “Dip it in hot sauce” he says, so your tastebuds don’t get bored and give up. 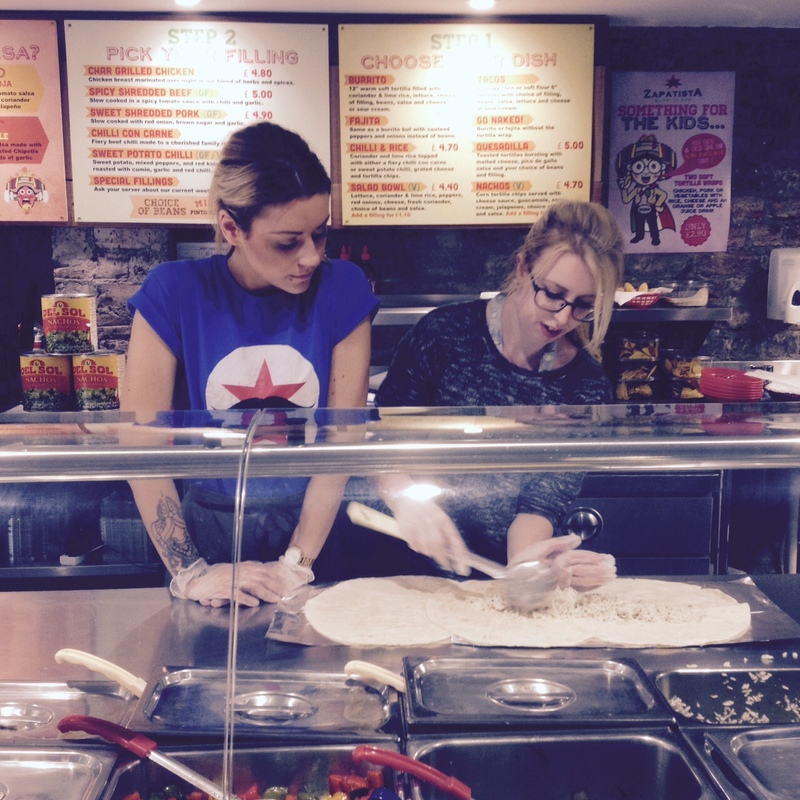 It took 2 people to construct my burrito….! On the day of the challenge I had my usual bowl of porridge with Little Dude at 7am and took him for his weekly swimming lesson. I then fasted till 2.30pm, which was tough as I was starving – lifting a baby up and down in the water is surprisingly hard work! As elevenses and lunchtime crept by I started to get to that awful stage of being over my hunger. The increasing nerves weren’t helping! I arrived at Zapatista and was met by my good friend T, armed with her phone to document my face stuffing, and a bucketful of LOLs at what I was about to do. I was promptly given a form to sign, basically telling me I was crazy and would therefore have to wear a sombrero for the duration of the challenge to further humiliate myself! 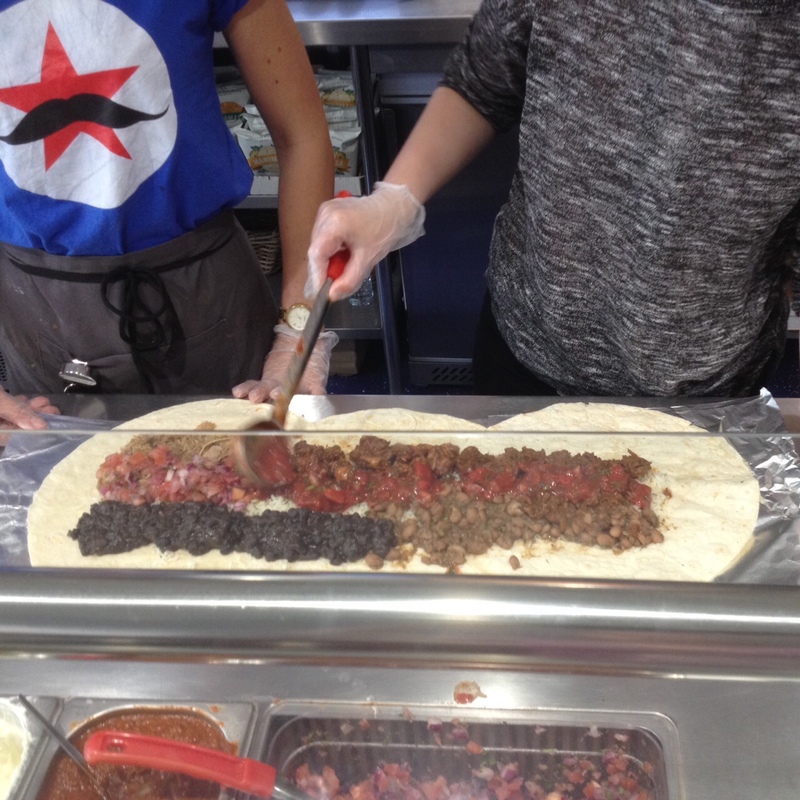 Now before I go on to tell you how much food I managed to inhale with little chance to really taste and enjoy it, I have eaten at Zapatista before and thoroughly enjoyed their burritos. The combination of slow cooked meat that has been marinated overnight, tangy rice & spicy beans with the addition of a plethora of sauces and toppings makes for a very satisfying, quick and filling meal. 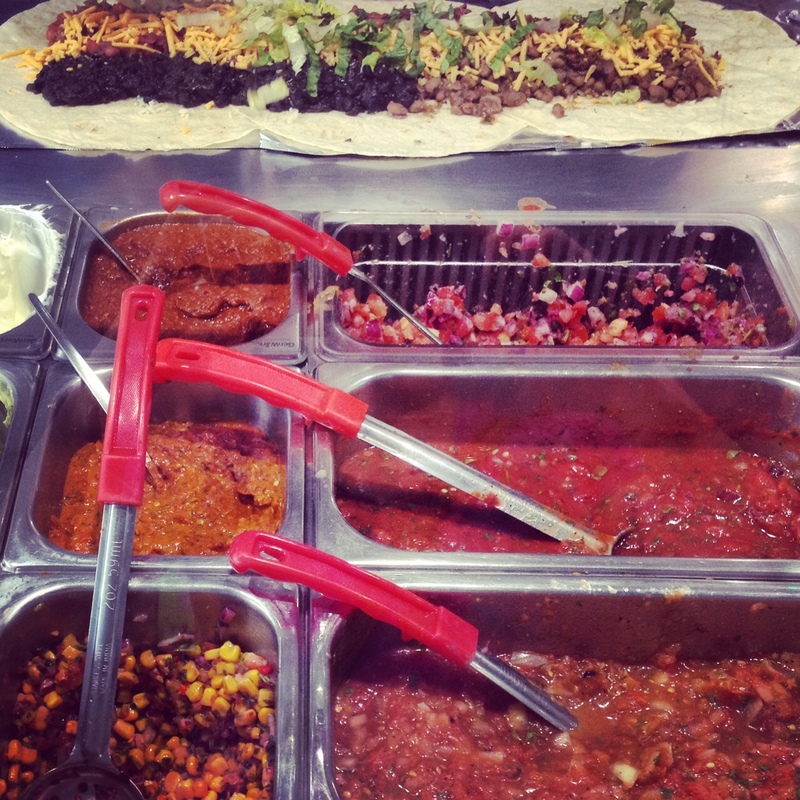 I am all for healthy, fresh fast food (like Leon – please come to Newcastle! 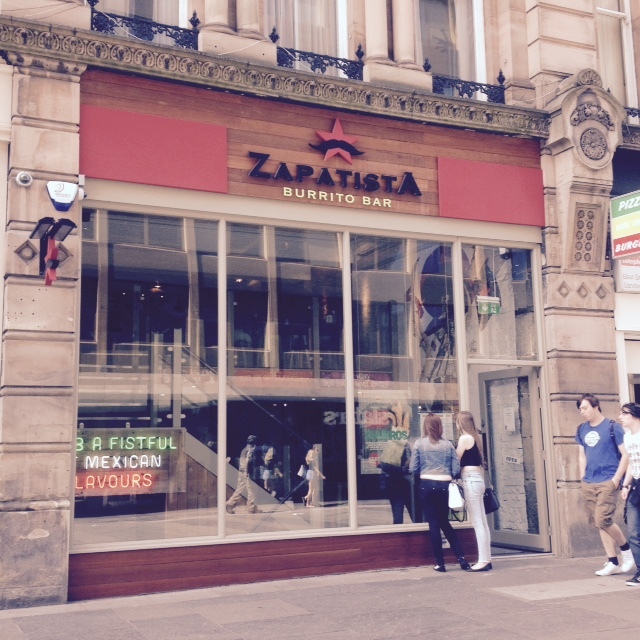 ), and local, independent eateries like Zapatista pave the way for the Toon. Lets all ditch the McDonalds & Burger King in favour of local, fresh and tasty food please! Back to the challenge. Once I’d glanced at the Wall of Fame (which contained the photos of 3 people) and Wall of Shame (at least 35 people) and the gigantic (seriously – look at it!!) burrito placed in front of me, I bravely/foolishly said I was ready. The sombrero and stopwatch came out, and I was off! Feeling pretty confident, I adopted the NZ model technique of taking lots of fast, smallish bites. No water as this would only fill me up, apparently. The first 3 minutes went by in a flash. I’d made good progress though so, undeterred, I continued. By 5 minutes I’d eaten about half so I cracked on. 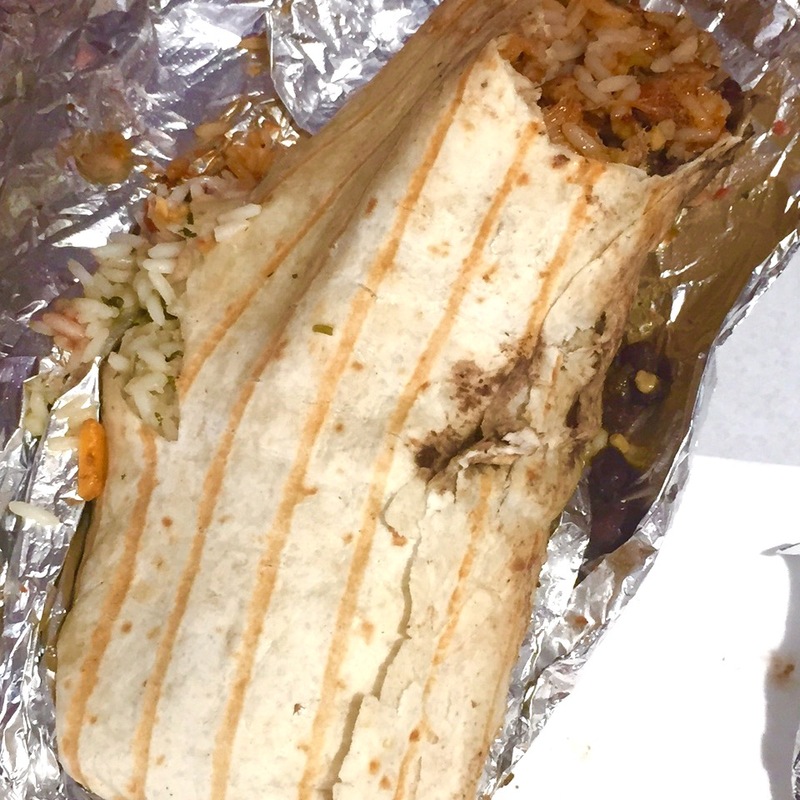 Then, disaster struck – a rip down the middle of the burrito! “Fork please!” I managed to mumble between mouthfuls, whilst trying to negotiate the ripped tortilla. A fly in the ointment, but this wasn’t going to stop me! Gradually, however, my mouth and throat started rebel against me. Trying to swallow the massive mouthfuls of food was becoming increasingly difficult. I sipped some water, which provided momentary relief but I realised that I was staring into the face of defeat. I stood up and wriggled my hips from side to side (which is supposed to help the food go down!) and took some more bites, bigger this time. The remains of my burrito challenge…! So what have I learned? 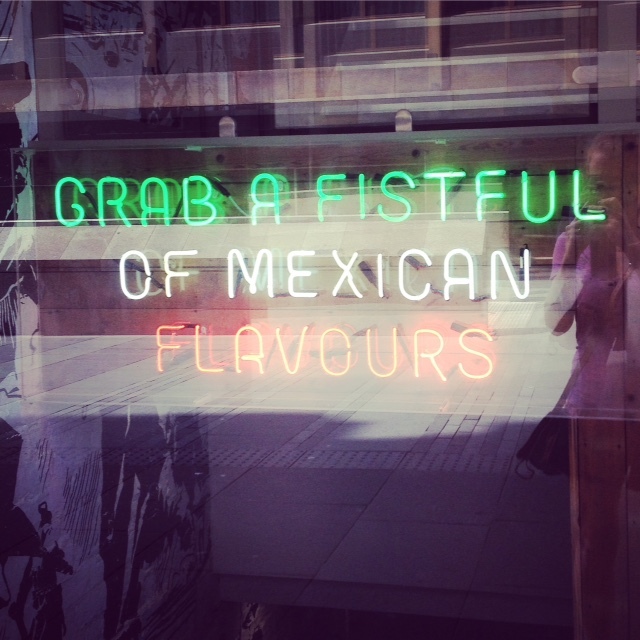 Well firstly, I can eat 3.5lb of Mexican food in 10 mins, which is not to be sniffed at. Secondly, I am probably never going to attempt to do it again. 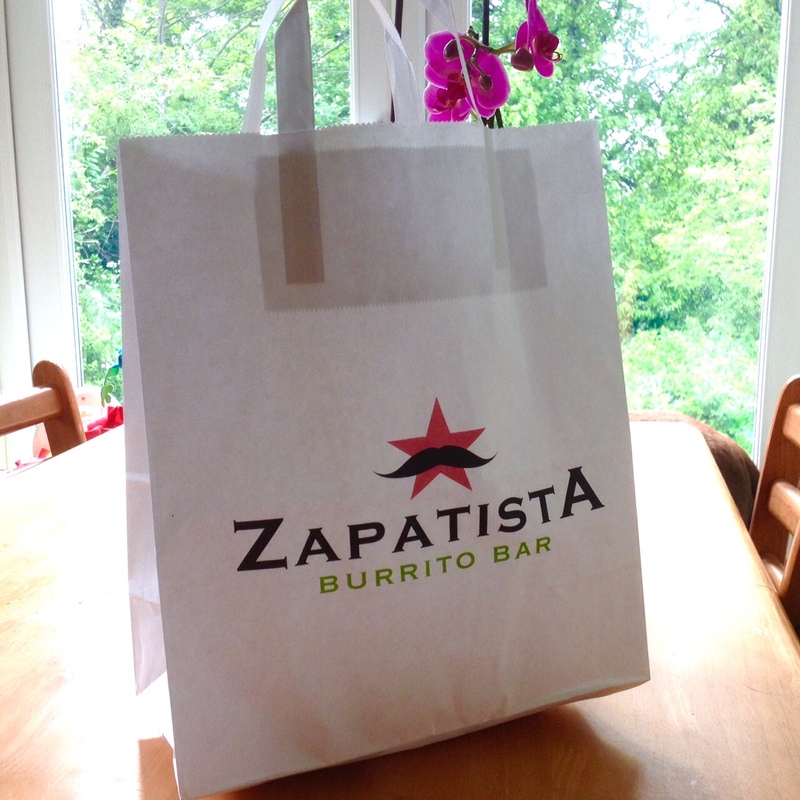 Thirdly, the guys at Zapatista are a really good laugh, and eating out should be a fun occasion, right? 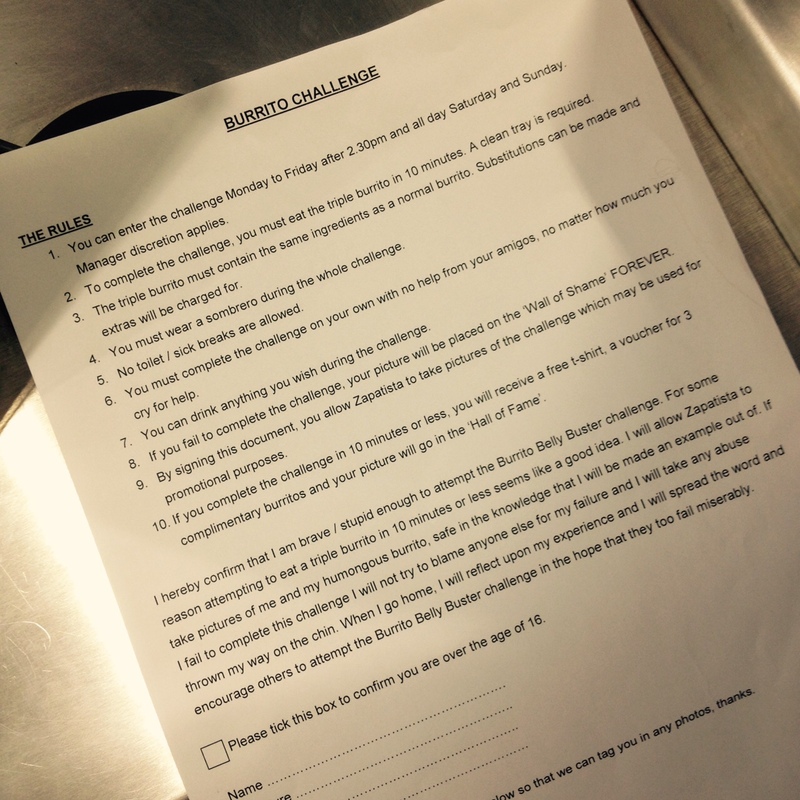 If you’re up for a giggle, do the challenge with a mate. Who knows, you might do better than the Toon Lunch Club! Let us know if you do. 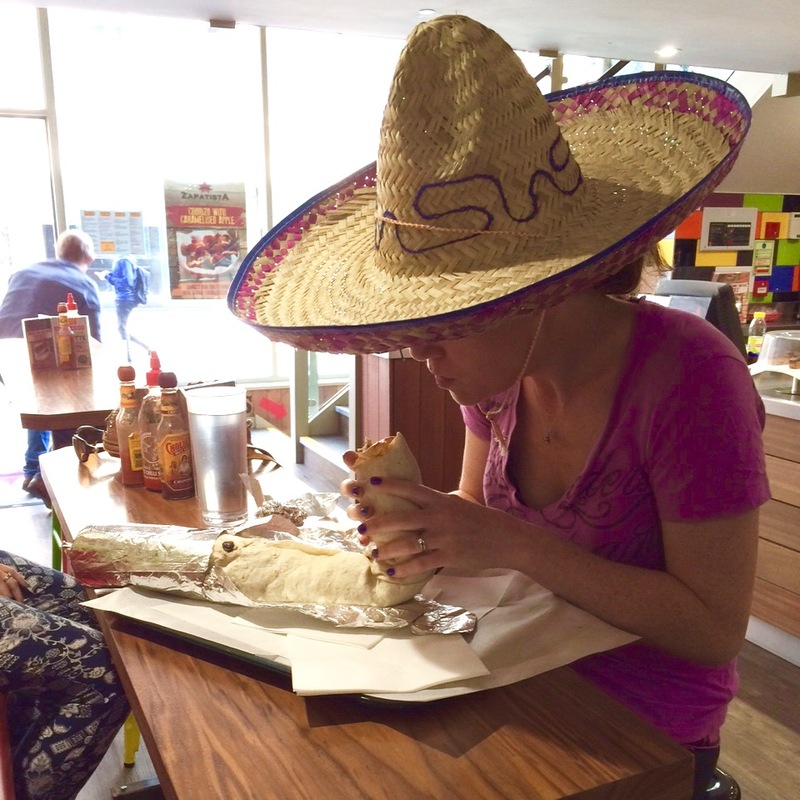 One of the Wall of Famers had apparently never had a burrito before he took on the challenge! A different way to have lunch, definitely. Now where did I put my running kit……?! 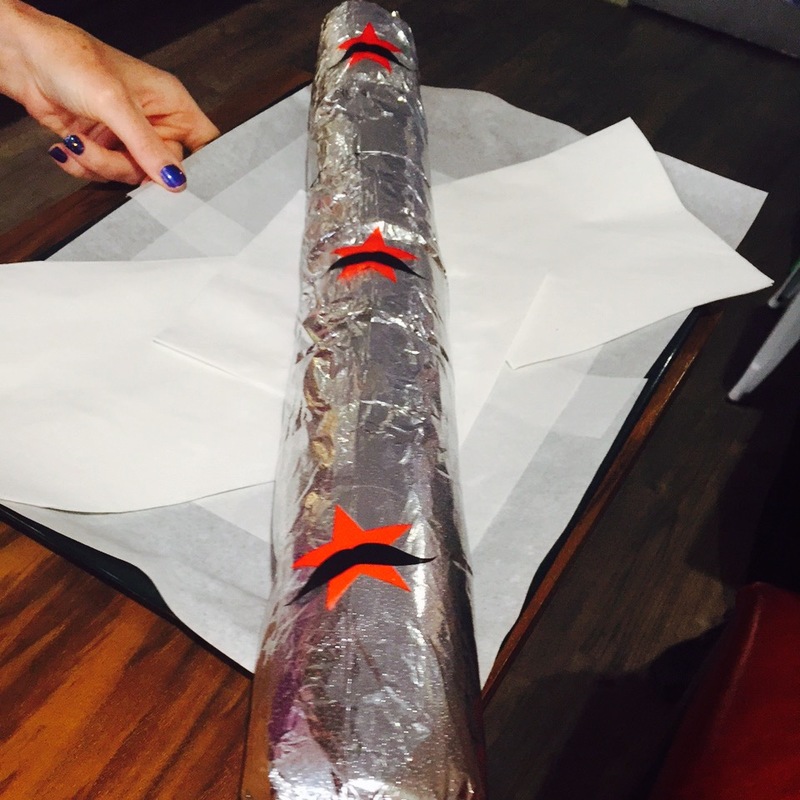 The Burrito Belly Buster Challenge costs £15, and if you manage to eat it in under 10 minutes you get a voucher for 3 free dishes, a Zaps tshirt and your photo on the wall of fame.